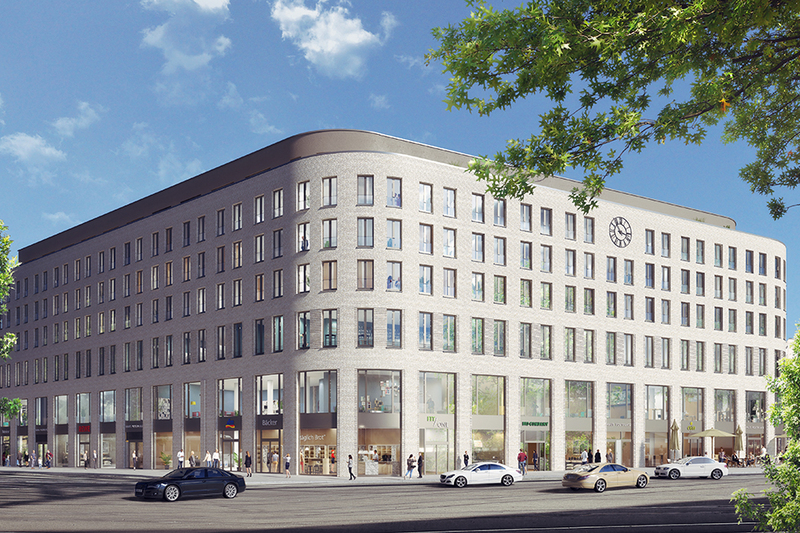 It is planned to raise a combination residential/commercial building on the Postplatz property across from the Altmarktgalerie shopping centre and with a view of the Zwinger palace. The projected building will have six above-ground floors and one recessed storey, adding up to a gross lettable area of around 18,000 sqm and 151 parking spots in a two-storey underground car park. 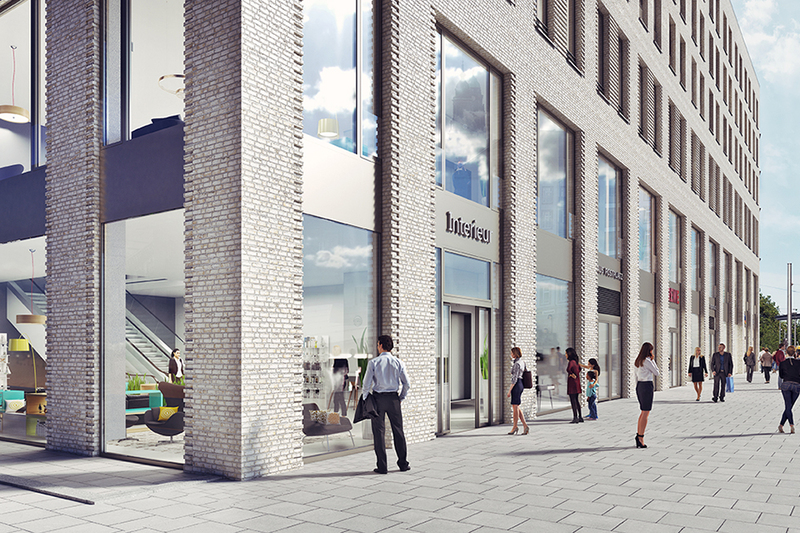 The mix of use types will include retail units on the ground floor and first floor, and a gym and offices on the second floor. 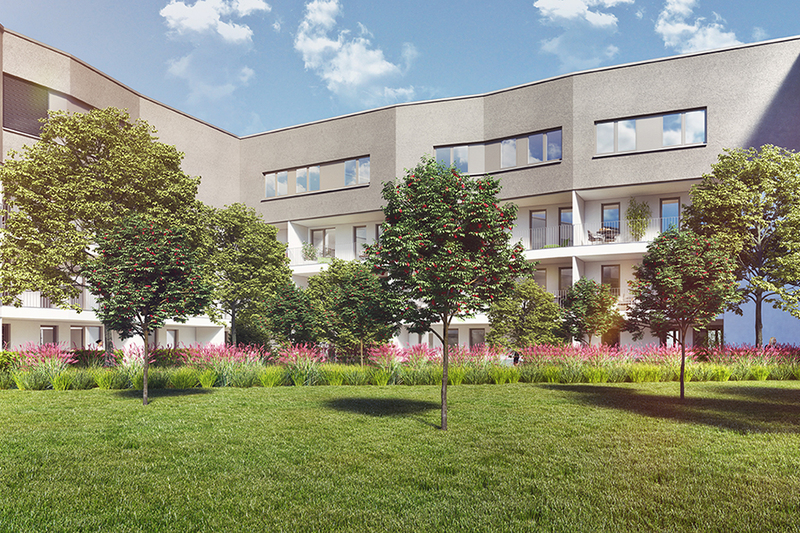 The upper floors (3 to 5) are earmarked for high-end rental flats. 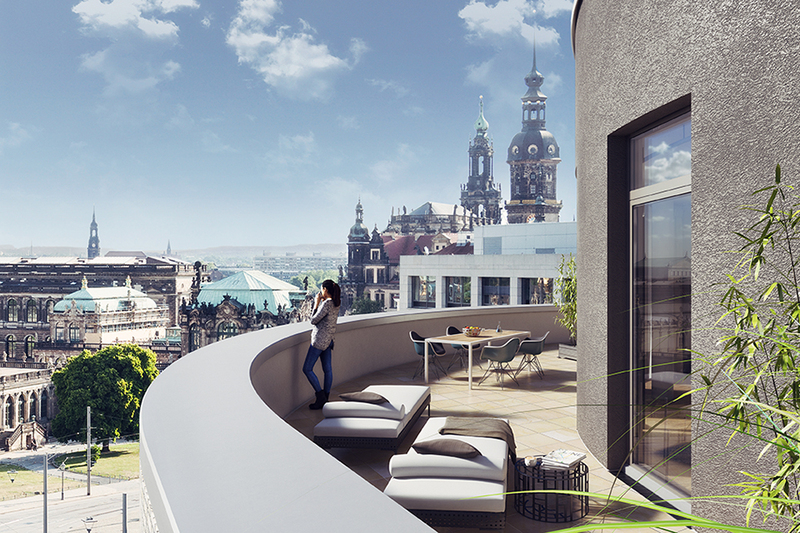 On the top there are penthouse apartments with a unique view of the Zwinger palace. 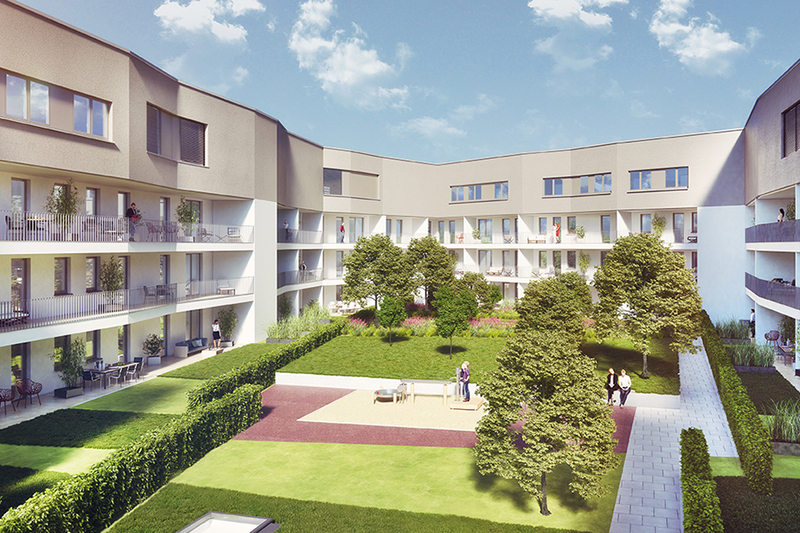 The projects has already been pre-certified with a GOLD-rating by the DGNB German Sustainable Building Council in October 2017. 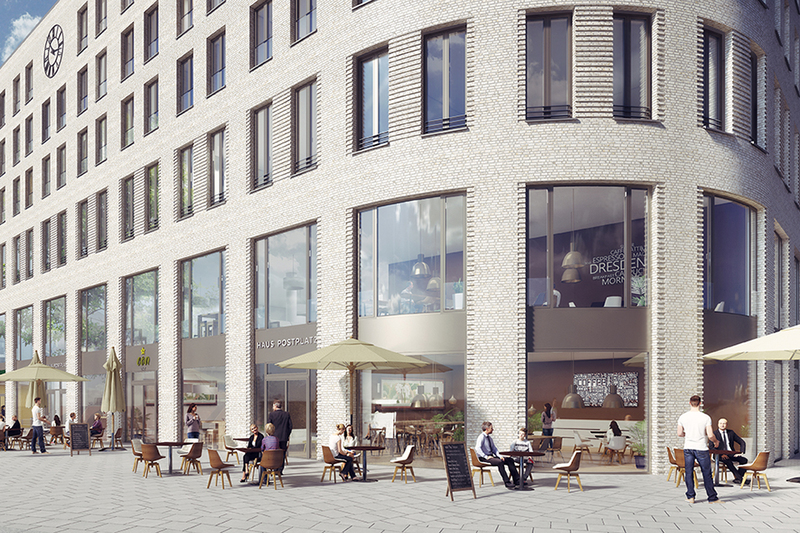 This web cam shows you the ongoing progress of the development project “HAUS POSTPLATZ”. Click the icon to open a pop-up window with the latest image from the construction site. The image is automatically updated every 5 minutes.